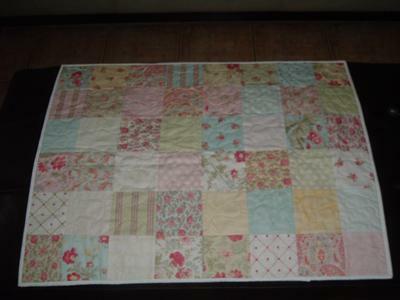 This is a simple patchwork quilt done for a special little girl. The floral and dot pattern fabrics co-ordinate so well. It has a clean and simple feel to it. Large freestyle quilting to keep it soft and cuddly, just right for a new baby.